Well maybe not but in terms of motorbike insurance and sniffing out the cheapest price, it definitely is. Lying on your insurance may seem like an easy way of reducing costs and it may work, for a little bit, but it can bite you in the backside. What constitutes a lie when it comes to insurance? This is where you lie through your teeth to get a lower motorbike insurance quote. For example, you may declare that you have never made a claim on your insurance when you actually have. This is where you are a bit economical with the truth to force down prices. For example, stating that you never commute on your motorbike even though you do once or twice a week. This is where you ‘forgot’ to inform your insurer of a change of circumstance. For example, you forgot to inform your insurer that you’ve moved house and no longer park your bike in a garage overnight, instead leaving it on the street. Whatever the type of lie, they’re all viewed as the same, regardless of the severity in the eyes of your insurer. That means in the event of a claim, the insurer will not pay out if you have lied on your policy and it will be void – whether it was an honest mistake or a blatant lie, your claim will not be processed. I need to make a claim on my insurance but I’ve lied. Help! Unfortunately if you’ve lied on your insurance policy, whether you’ve made a driving conviction disappear or forgot to inform your insurer of a modification to your bike, your insurer will not pay out, as your policy is void. While it’s still worth informing your insurer and attempting to make a claim even if you have lied, they’re unlikely to pay out. The truth is, insurers are becoming more thorough in weeding out anyone who is caught lying on their policy. With the help of the DVLA and the police, insurers are working hard to find any discrepancies among UK riders and their insurance policies. They have access to databases of all claims made by riders as well as the ability to access information about your driving licence and any endorsements or penalty points. While you can run the risk and get away with it, it’s not worth it as a stolen motorbike is expensive to replace, certainly more expensive than the extra couple of pound a month you would have paid if you told the truth. Lots of riders look to tweak different details when they complete the quote process on The Bike Insurer. For example, they may change annual mileage to something slightly lower, include a claim and then get rid of it, or change their address from one area to another. Riders will sometimes trial and error these changes in order to get the cheapest deal possible. The only problem is, comparison sites and insurers can see these multiple quote requests and refuse to offer insurance policies because it’s obvious that you’re playing a bit fast and loose with the truth. So what can riders do to get cheap insurance? Not being able to lie does not mean you will not be able to get cheap motorbike insurance quotes. There are lots of different ways you can get cheap motorbike insurance while telling the truth and comparing prices from as many insurance brokers as possible is the best way of doing that. In fact being as truthful as possible and as accurate as possible is the best way to get cheap insurance. 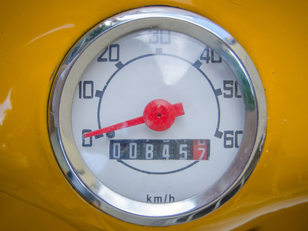 For example, getting your annual mileage right, rather than over estimating it will keep costs down. While you might pay more than if you lied, it’s better to be covered in the event of making a claim.